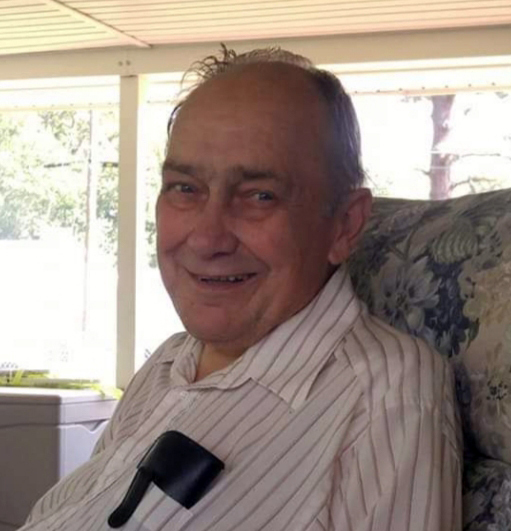 George M. Campbell, 81, passed away peacefully with his family by his side on Saturday, March 16, 2019, at the Johnson City Medical Center, following a lengthy illness. George was a native and lifelong resident of Washington County. He was a son of the late James and Nell Peterson Campbell. George was retired from Rainbo Bakery. He was a 32nd degree Mason, a member of the Johnson City Masonic Lodge #486 F&AM, and a Shriner. He was a member of Greenvale Baptist Church, but had been attending King Springs Baptist Church. In addition to his parents, George was preceded in death by his sister Mary Lynn and infant brother Isaac Campbell. He is survived by his loving wife of 55 years, Bonnie Maupin Campbell; two daughters, Sandy Conley, Johnson City, and Kim Campbell (Ryan Buckley), Palm Harbor, FL; three grandchildren, Matt Conley (Kara), and Brooke Conley, all of Johnson City, and Parker Campbell Buckley, Palm Harbor; three great-grandchildren, Rylie, Bentley and Kenleigh Conley, all of Johnson City, and his dog Lincoln. The funeral service for Mr. Campbell will be conducted Friday, March 22, 2019 at 2:00 P.M., from the East Chapel of Appalachian Funeral Home with Dr. Michael Oaks and Rev. Gary Addington, officiating. Special music will be provided by the Sounds of Victory and Kathy Thompson. The graveside committal service and interment will follow in Roselawn Memory Gardens, with Rev. Harley Lloyd, officiating. Active pallbearers will be Matt & Bentley Conley, Ryan & Parker Buckley, Richard Thompson, James Barry and Clayton Campbell. Honorary pallbearers will be Gaylord Smith, Sam Hilbert and his many special friends over the years. The family will receive friends Friday prior to the service from 12:00-2:00 P.M. in the East Parlor of the funeral home. Those who prefer to make memorial donations in George’s name, may do so to the Washington County/Johnson City Animal Shelter 3411 N. Roan St. Johnson City, TN 37601, or a charity of your choice.